Our feeds have been flooded with the #10yearchallenge this month. From Insta influencers to Hollywood celebrities, people across the globe joined in the viral craze as they dug deep into their virtual photo album to find the best-suited selfie for the ‘then & now’ pic. Generating millions of mentions throughout January, the trend appeared to be innocent fun until one tweet called into question the real purpose of the side-by-side shots, referencing facial recognition technologies and the social media giants’ potential profit from these. Regardless of the true aim of the hashtag sensation, we still can’t decide what’s more shocking: the enormous popularity of the challenge or the fact it’s been a decade since this trended on social. Time flies! With the Lunar New Year around the corner, the world is about to witness the largest annual migration on the planet. As the Chinese travel across the country to reunite with their families for the festival season, nearly 3 billion trips are estimated to be made between 21st January to 1st March, a 40 day period known as the Chunyun (春运) season. Due to the high passenger demand, critics have compared the difficulty of getting hold of flight and train tickets to a lottery. To let off steam, hopefuls are turning to social media to share their frustration. Meanwhile, some of those lucky enough to have secured a train seat have united on Weibo in their stance against another controversial nuisance: unruly children on public transport. After quietly entering Brazil seven years ago, Amazon is now making plenty of noise about their somewhat delayed move into the direct sale of merchandise in Latin America’s largest economy. From acting primarily as a marketplace, Amazon’s shift to stockist and deliverer of goods is set to heighten the competition in the goods delivery sector. “Our obsession is always to increase this catalog and to have everything Brazilian consumers seek and want to buy on the internet,” Amazon Brazil’s country manager Alex Szapiro told Reuters. In Vietnam, Cass the Cat, a.k.a. the Prophecy Cat, has returned to predict the outcome of the Asian Football Cup (AFC). Boasting an impressive record in the world of sports betting, the feline has been making forecasts since 2017, dabbling in major football events such as the 2018 World Cup. Capturing Cass the Cat hovering between two bowls of cat food, each representing one of the competing nations, his videos typically attract a few hundred views. But his recent uploads ahead of the Vietnam team’s matches have consistently aggregated thousands of views and even been broadcast on major news sites. Who needs statistical models when there’s a psychic cat on hand? Don’t miss the chance to get to know our Head of Strategic Partnerships, James Ford. 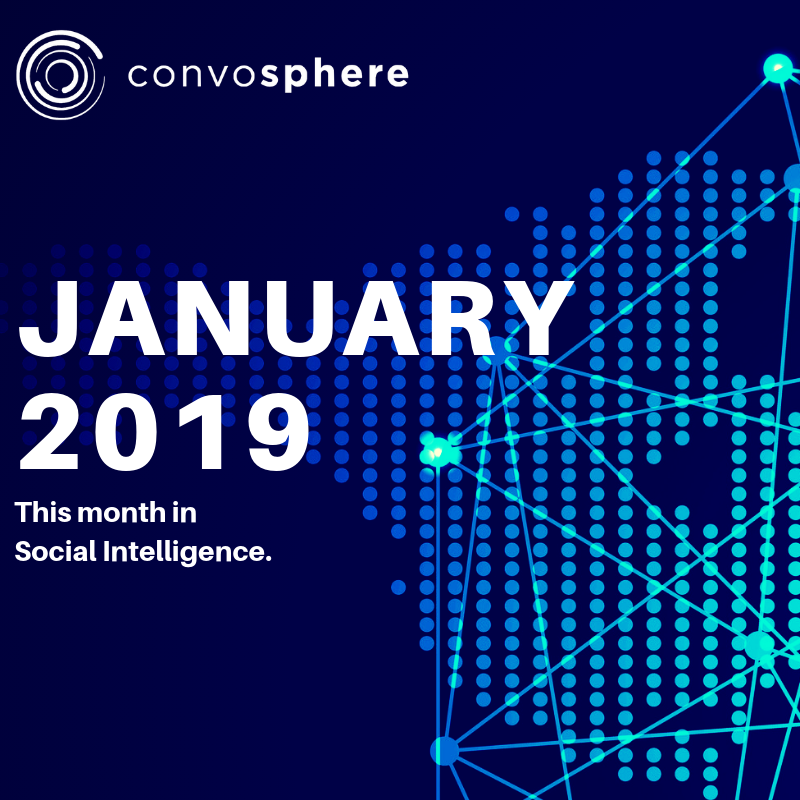 In the latest employee spotlight on our blog, the Londoner tells us about his busy role, the rewarding challenge of educating businesses about social intelligence, and what he enjoys the most about being part of the Convosphere team. Check it out here. Want to find out more about our global and multilingual social listening services?